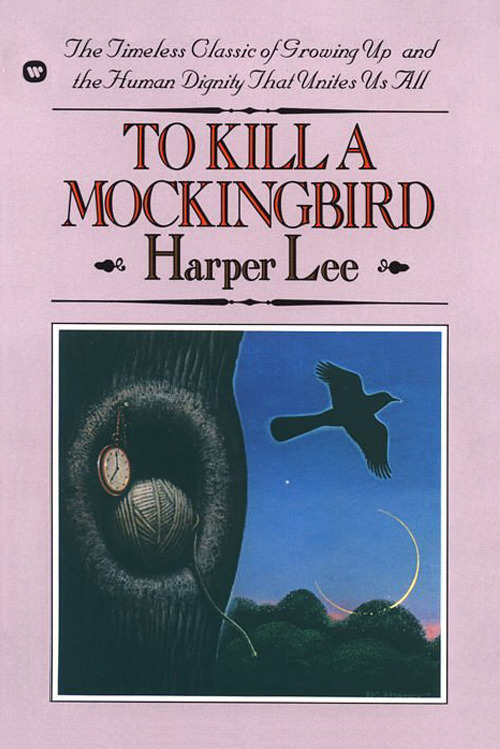 To Kill a Mockingbird is a Pulitzer Prize winning novel by Harper Lee. It is a story of an eight year old girl who opens her eyes to the dark side of the society. It was first published in 1960 and was an instant success. Set in the year 1935, the plot of the story revolves around the great depression. The story takes place in the fictional town of Maycomb county, Alabama. The story narrated by Jean Louis Finch a.k.a. Scout Finch revolves around two children Scout and Jem. The story talks about serious issues like racism and crime against women through the eyes of an innocent eight year old. The characters in the story are heartwarming. Scout is a smart, innocent, witty and lovely girl. She thinks rationally. Jem is Scout's elder brother who cares about her and treats her like a friend. As a reader, their bond reminded me of the one I share with my younger brother. All the fights and teasing and bothering each other all the time is what this relationship is all about. Dill is a friend to both and is an interesting personality. Atticus Finch is the adorable father to Scout and Jem. He is rational, loving and caring as well as a little firm too. He respects humanity above all and is very level-headed. Furthermore, it's his personality that commands respect out of everyone. I was very impressed by this character and I hope I see men like him in life as well. The writing style is commendable. The story has a good flow to it and is hard to put down at certain points. The story is practically divided into two parts. In the first part Scout, Jem and Dill are trying to solve the mystery behind legend of Boo Radley. However, the second part is majorly about the Ewell vs. Robinson case. The detailing about the surroundings is adequate and the pace of the story is nice as well. Conclusively this is a Bildungsroman Novel which will move you and make you adore the characters. Also, it will force you to analyse your ways and the judgements you make about other people. Hi Felicia, I followed your link from GoodReads. It's been a while since I read this one. Absolutely love this book and like it better each time I do. The novel I'm writing now has 'Mockingbird' in the title an will deffo reference this book. Happy Reading. (I'm following your blog now)!